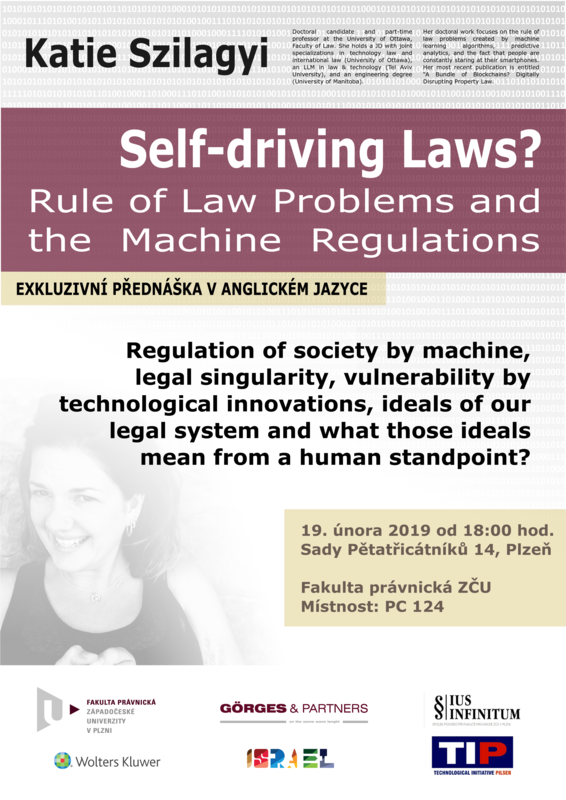 We would like invite you to exclusive open lecture focused to “Self-Driving Laws? – Rule of Law Problems and the Machine Regulation”. This lecture will be organised with support of Technological Initiative Pilsen. The spectre of artificial intelligence over the rule of law is readily apparent in proposals for “self-driving laws”: the idea that we might regulate society by machine. Some academics have posited an approaching “legal singularity”, in which legal knowledge becomes a complete data set and uncertainty is rendered obsolete. This perspective, she argues, misses an important point by assuming machines can necessarily outperform humans, without first questioning what such performance entails and whether machines can meaningfully be said to participate in the activities of interpreting and applying the law. Nor have these scholars asked what ideals we truly value in our legal system and what those ideals mean from a human standpoint. 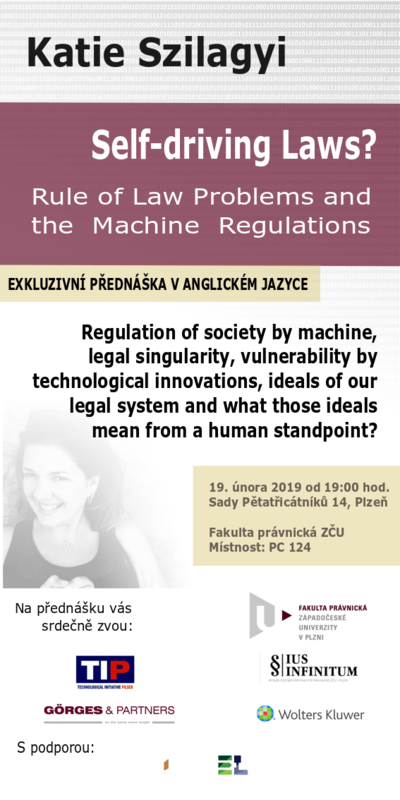 In this talk, she focuses on how the rule of law is made vulnerable by technological innovations that take power previously delegated to administrative decision-makers and reassign that power to machines. 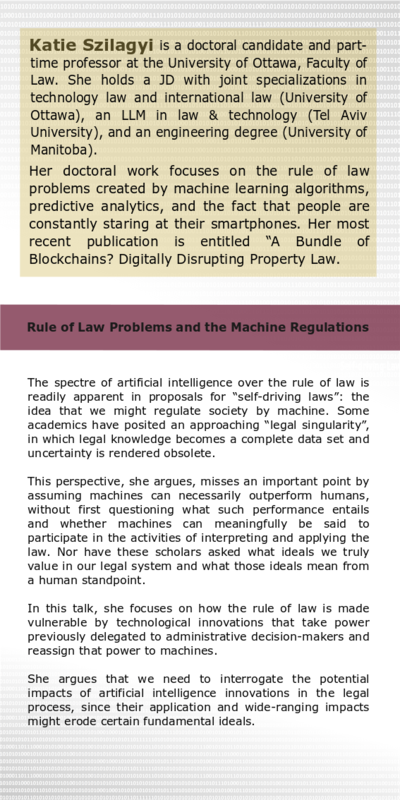 She argues that we need to interrogate the potential impacts of artificial intelligence innovations in the legal process, since their application and wide-ranging impacts might erode certain fundamental ideals. 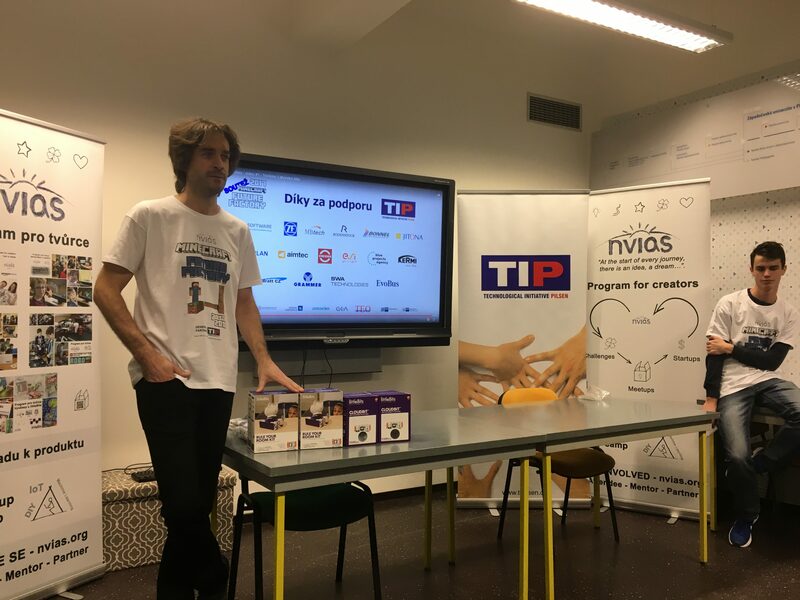 Pilsen – Technological Initiative Pilsen, interest association of legal entities, where are connected a number of leading companies from Pilsen Region, supports children’s interest for technical education. This association spent during 2017 and 2018 in total more than 220 thousands crowns for this target. The funds were directed to schools in the Pilsen region. 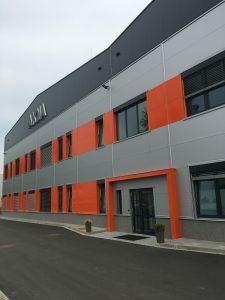 Other financial support of technical education are issued by individual firms, which are trying to support the young generation’s interest in technology, craft and information technology. 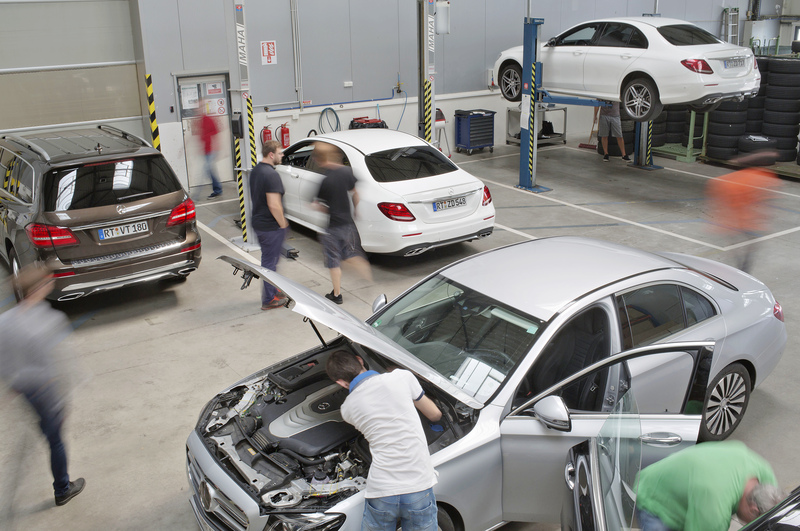 More and more young people perceive that “Useful trade pays dividends!”.